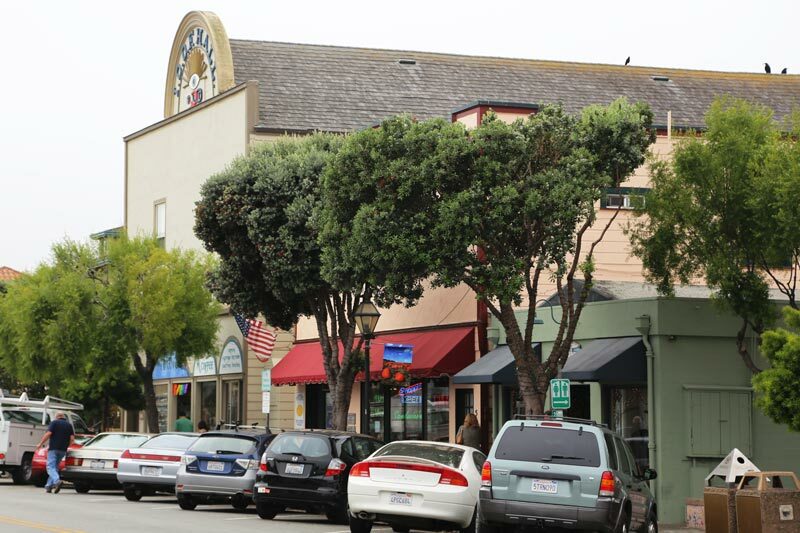 Half Moon Bay is the largest city between Pacifica and Santa Cruz. 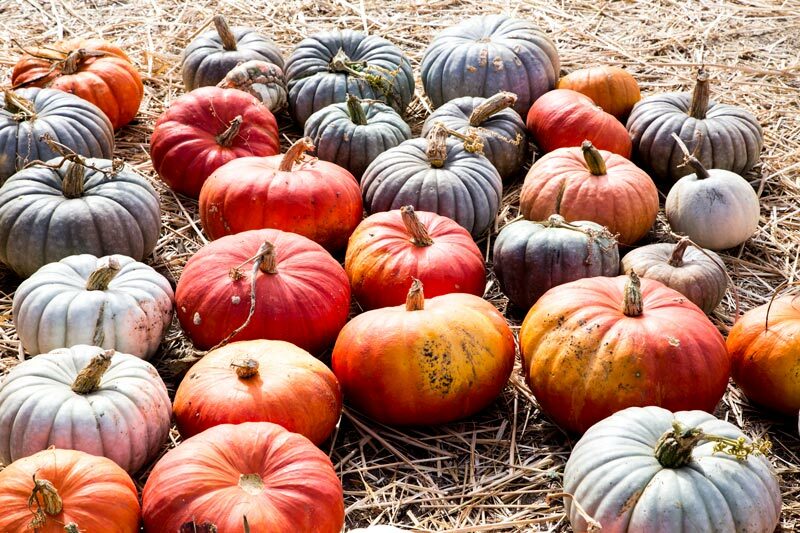 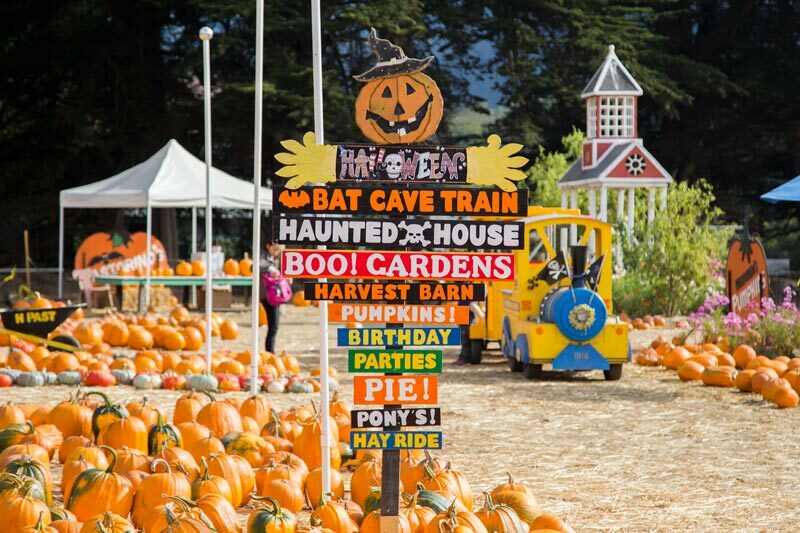 It gets news coverage every Halloween for its popular pumpkin festival and sprawling pumpkin farms. 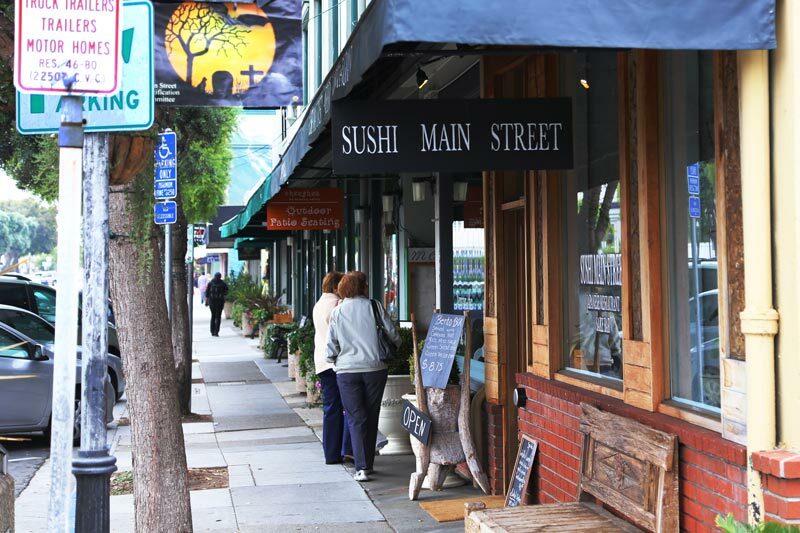 But throughout the year, visitors are are attracted by downtown’s historic Main Street. 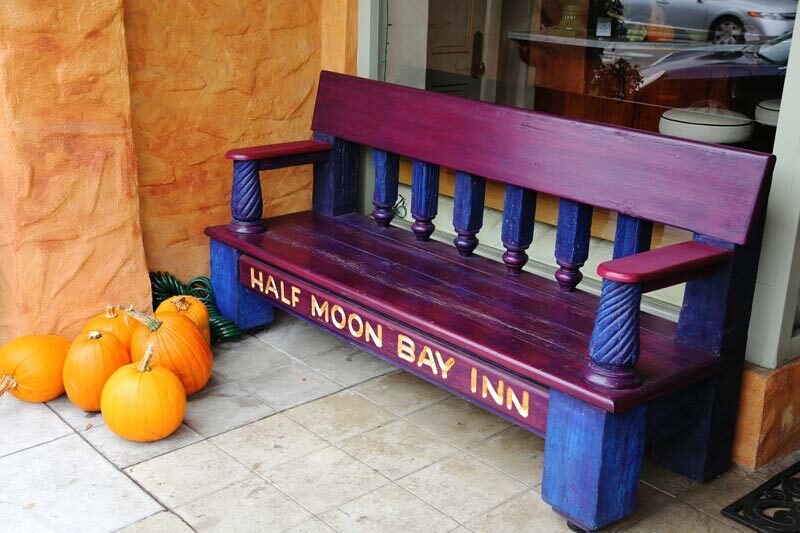 Half Moon Bay is a great stopover for those traveling along the coast and serves as the gateway to the coastal region from middle of the San Francisco Peninsula for those using Hwy 92. 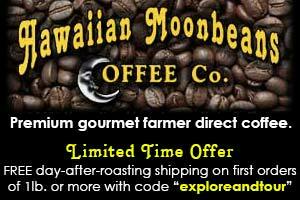 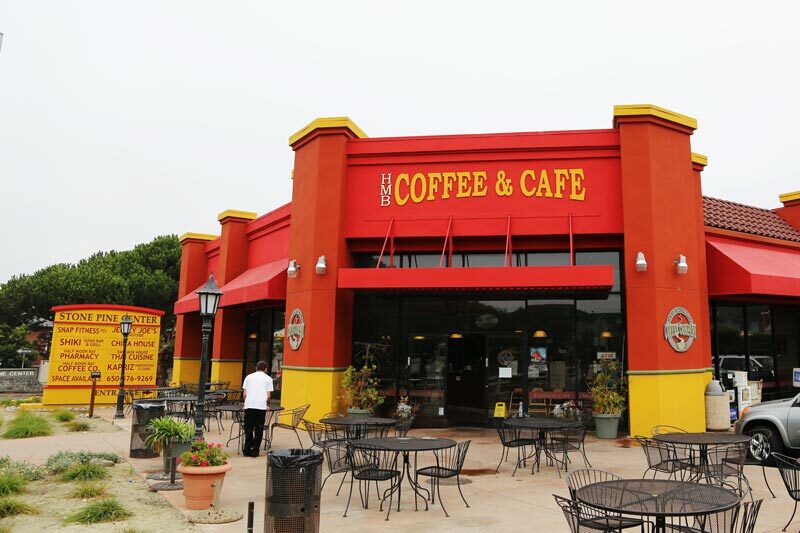 It’s a great place to start your journey with a breakfast or to grab a cup of coffee for the return trip home. 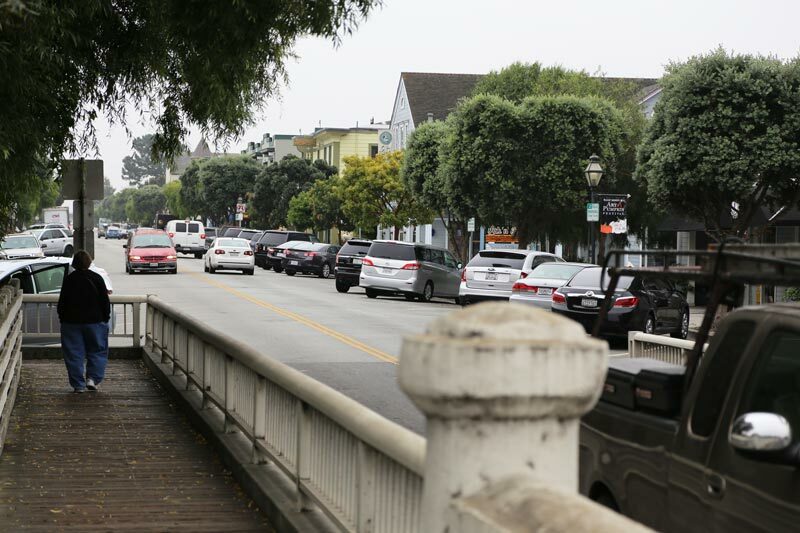 Main Street – This historic stretch of downtown runs from Correas St. to the Main Street Bridge. 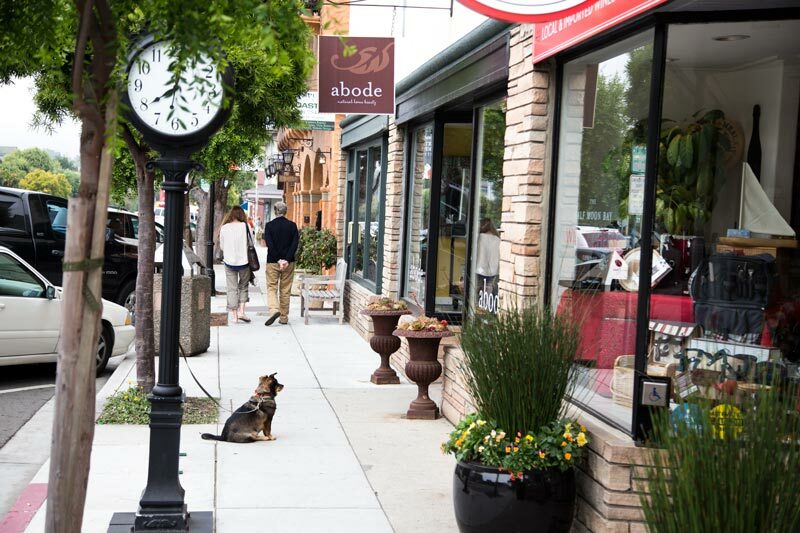 This four block stretch offers a wide selection of restaurants, coffee shops, art, antiques, and country/farm items for your urban ranch. 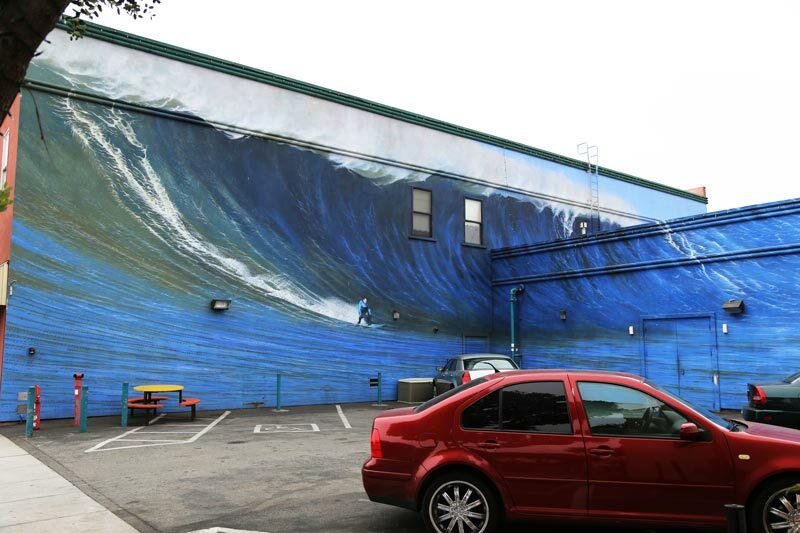 Restrooms on Main Street have always been scarce, although you’ll find a new public restroom(built like ones found at beaches) on Kelly Street. 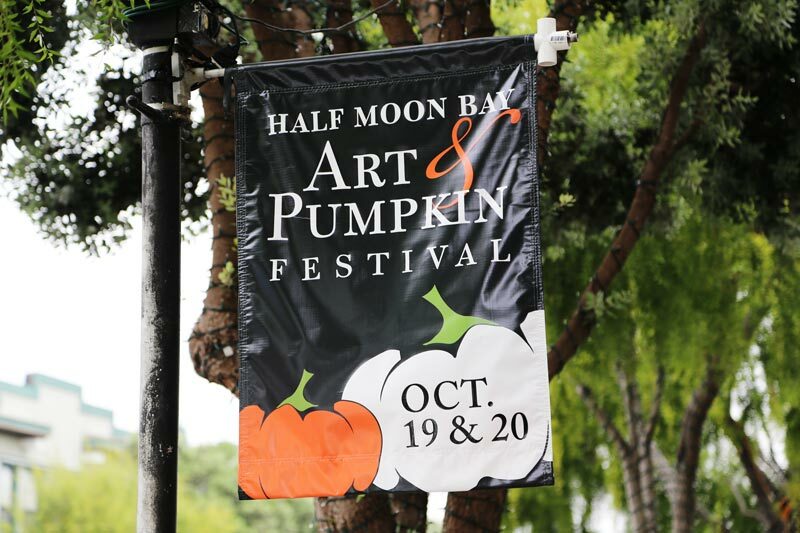 Art & Pumpkin Festival – One weekend during the middle of October you’ll find the Art & Pumpkin Festival along the center of Main Street. 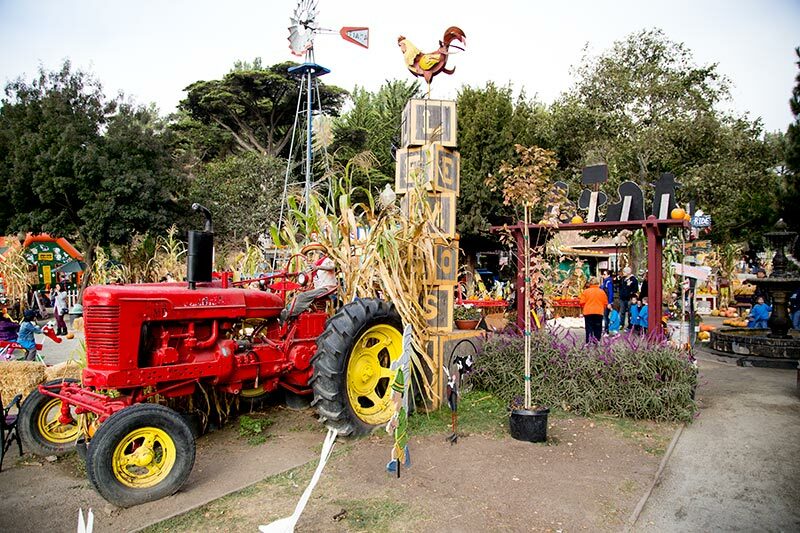 You’ll find a wide assortment of art, crafts, food and wine. 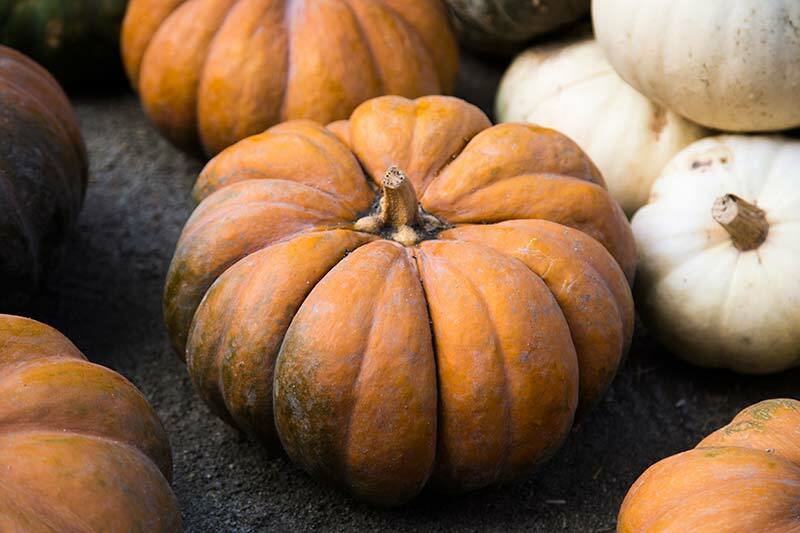 They also display the unbelievably massive winner of the pumpkin growing contest. 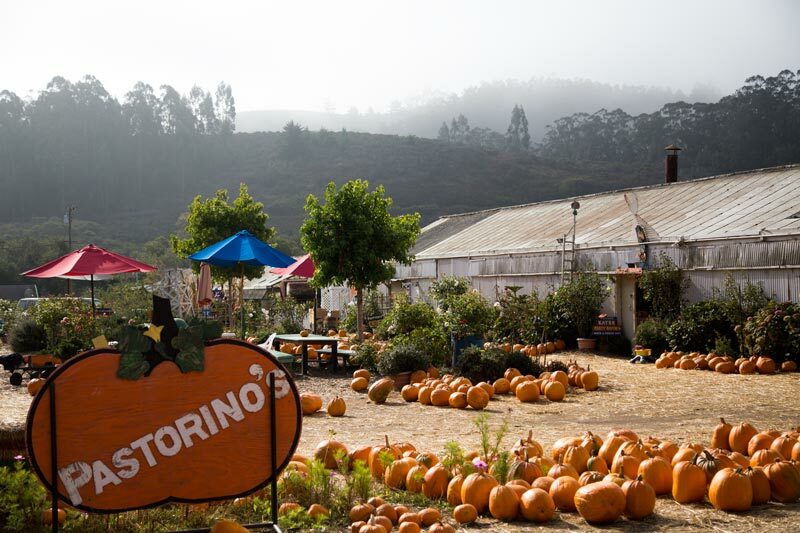 But for the full experience you’ll have to take a short trip east of town on HWY 92 where you’ll find the Lemos and Pastorino Farms. 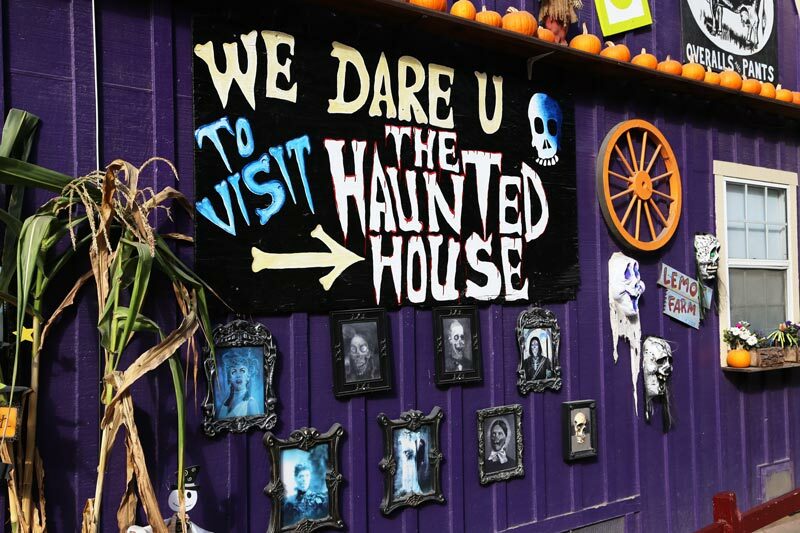 WARNING: The fun Art & Pumpkin festival can turn into a nightmare if you don’t plan your visit. 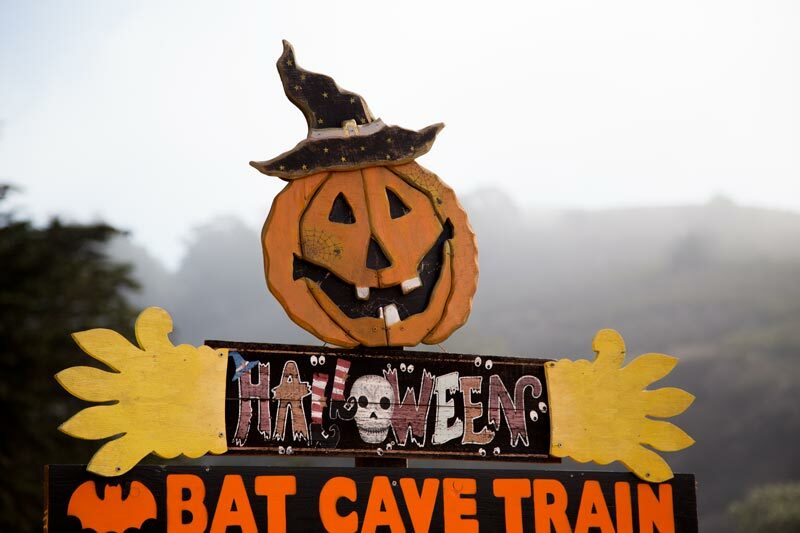 If you’re not inside Half Moon Bay by 8-9am, you’ll be spending well over an hour creeping along clogged highways. 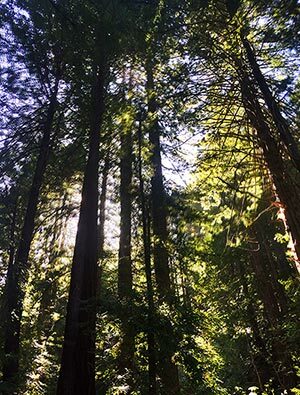 While a nice event, it’s not worth sitting in traffic for hours. 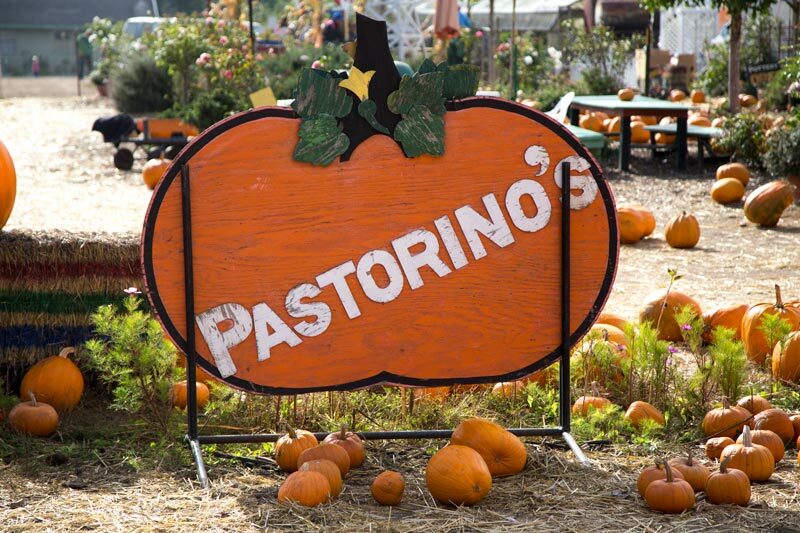 Lemos and Pastorino Farms – Every October you can explore mini-carnivals at the Lemos and Pastorino farms. 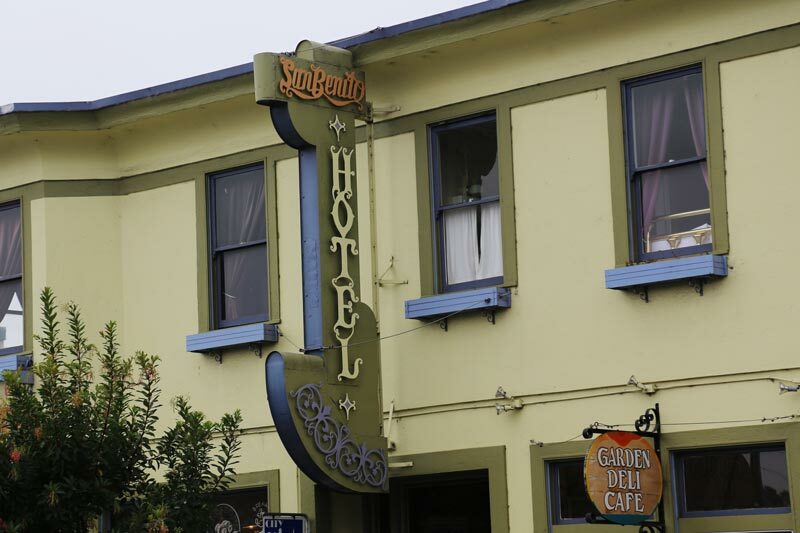 They’re across from each other on HWY92 a couple of minutes east of Half Moon Bay. 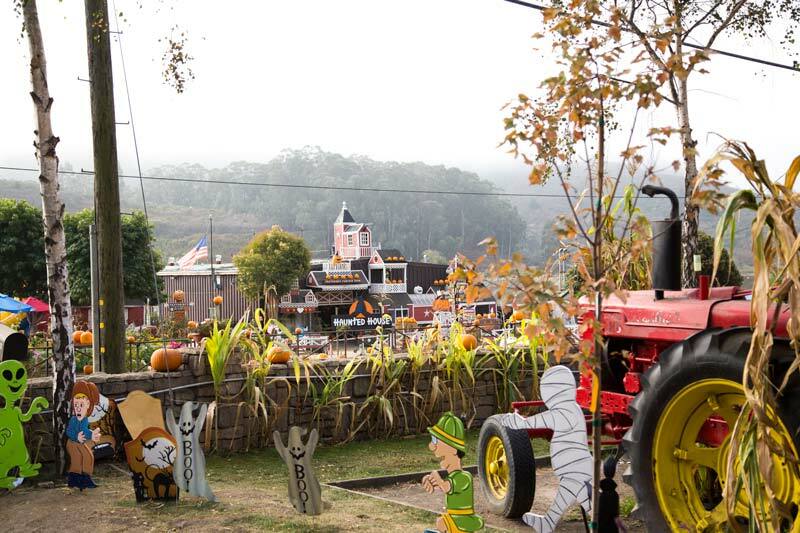 The farms offer a large variety of pumpkins, food, kid rides, and crafts. 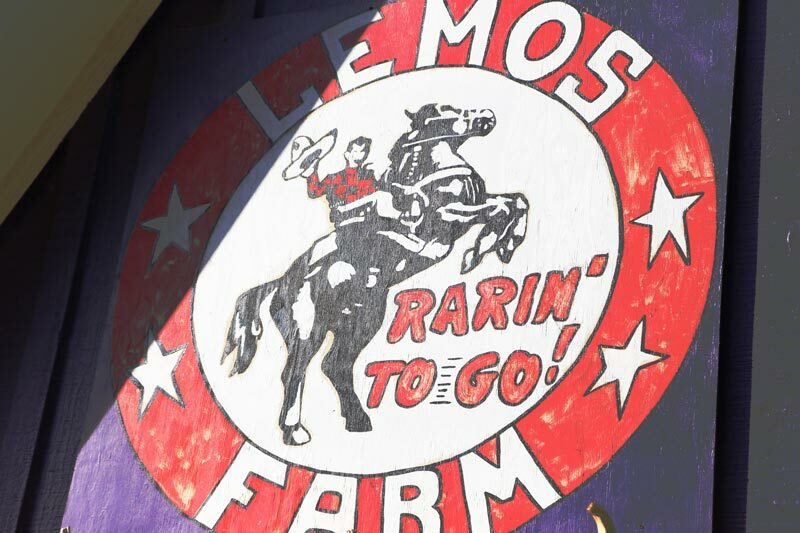 While these mini-carnivals where started decades ago at the Pastorino farm, the Lemos farm has grown to become the largest. 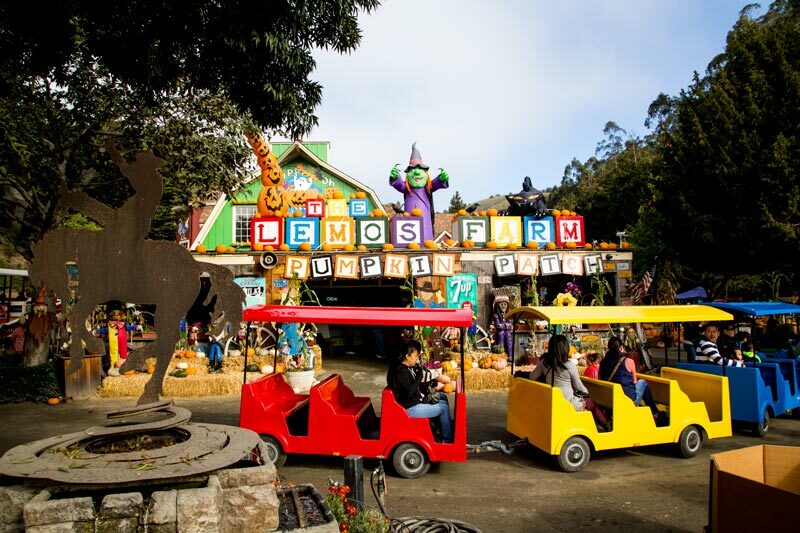 As Pastorino farm’s beloved Halloween structures rotted away and were demolished, the Lemos farm invested in new attractions and doesn’t charge parking like the Pastorino farm occasionally does. 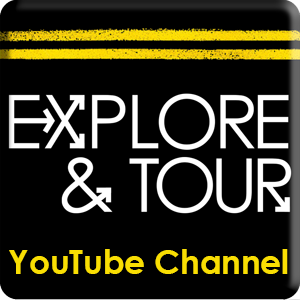 Its advised to arrive early to avoid traffic and crowds. 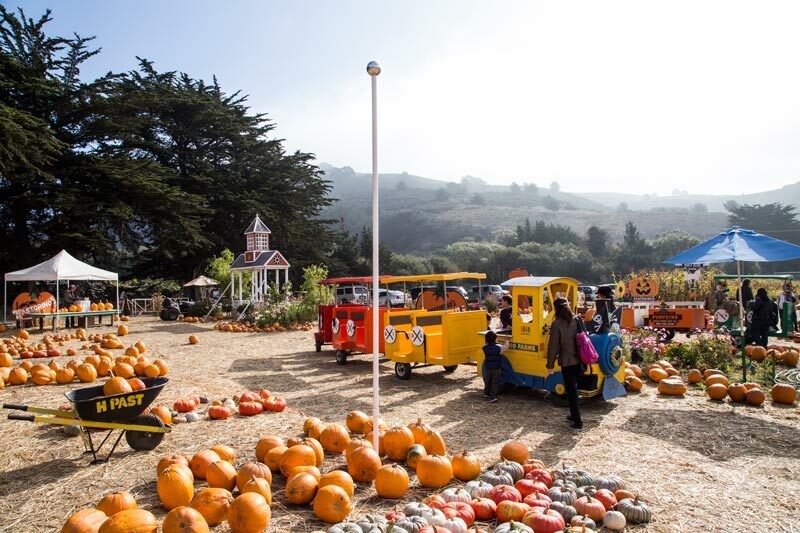 A trip with lunch in Half Moon Bay on a non-festival weekend makes for a less stressful Half Moon Bay Halloween experience. 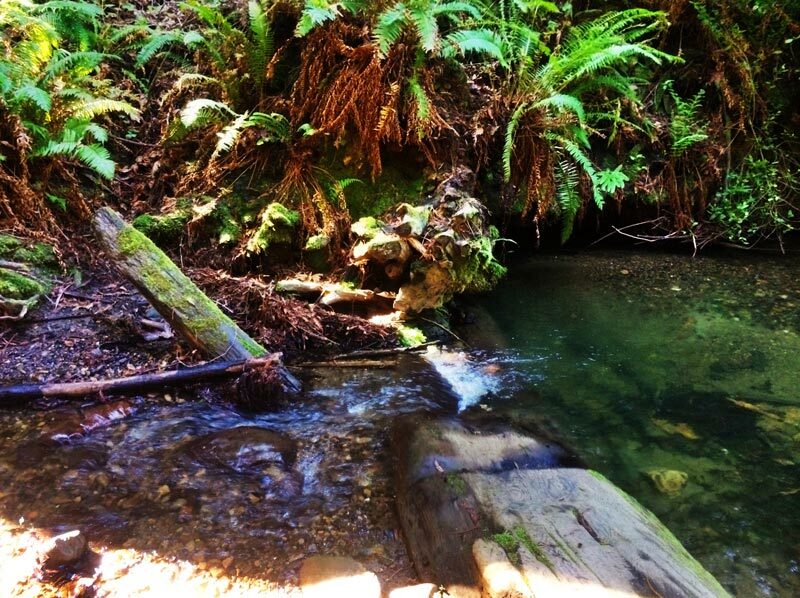 Purisima Creek Redwoods Open Space Preserve – You don’t need to hike far into the canyon to experience the relaxing creek meandering through the towering redwoods at this popular yet relatively unknown park. 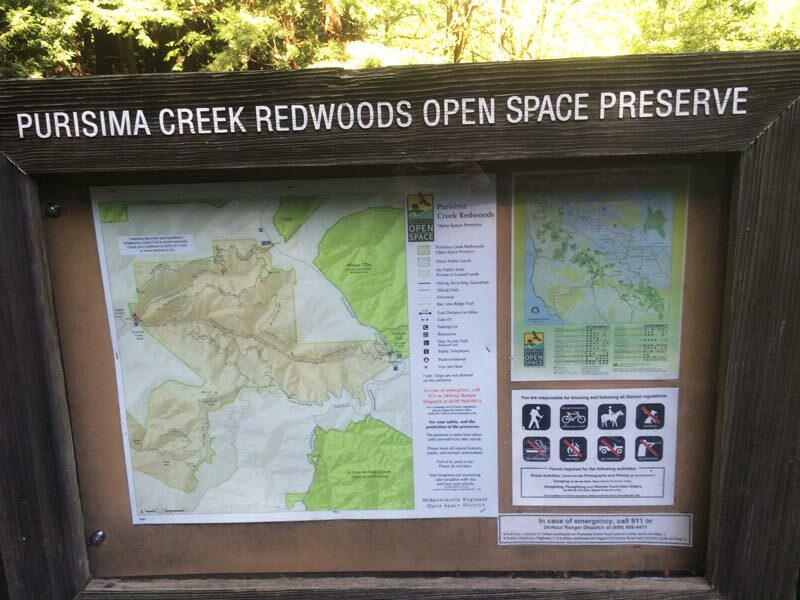 Get park information at their website. 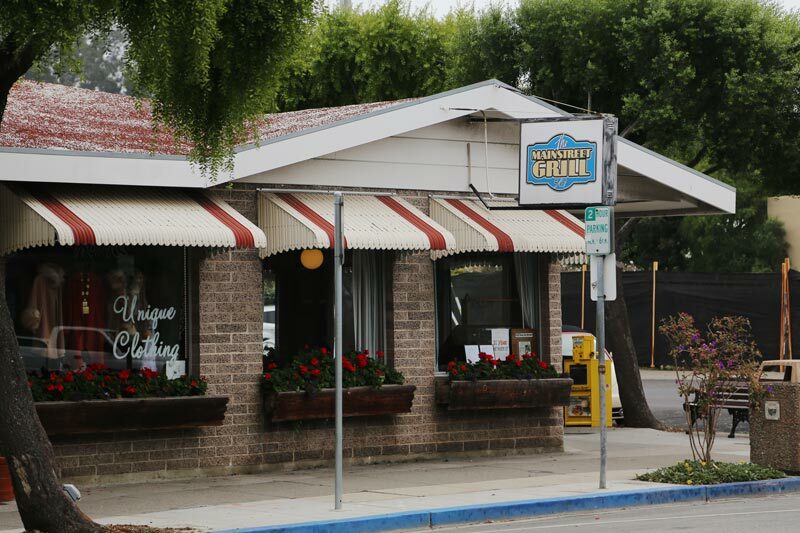 Half the fun is discovering a cool spot to eat on Main Street. 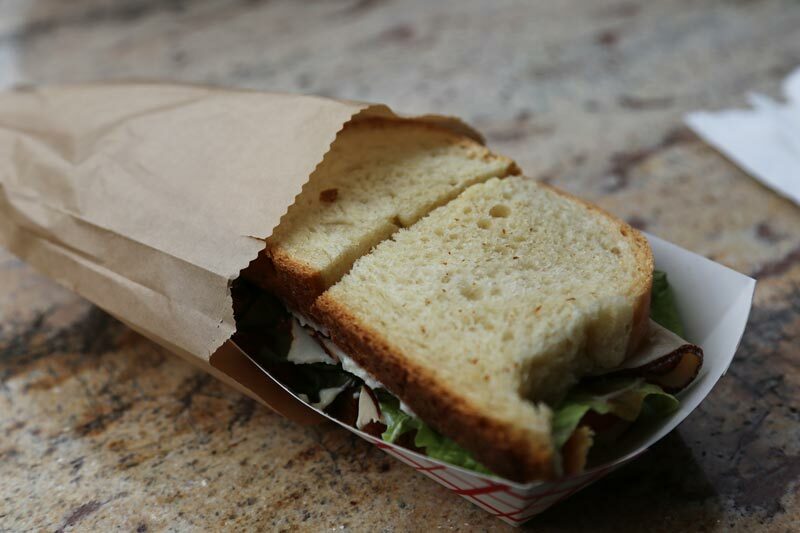 However, we list two trusted favorites that are well within anyone’s budget for breakfast or lunch. 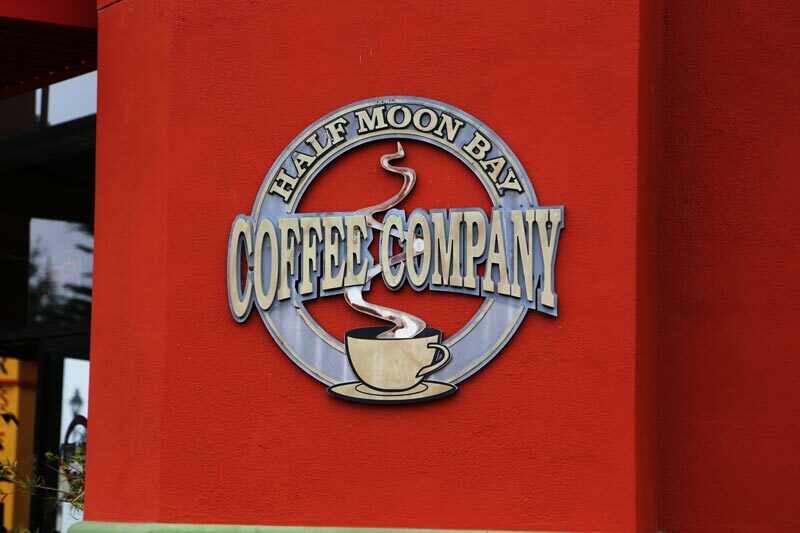 Half Moon Bay Coffee Company – This popular spot for coffee, breakfast and lunch is located at the northern end of the Main Street Bridge. 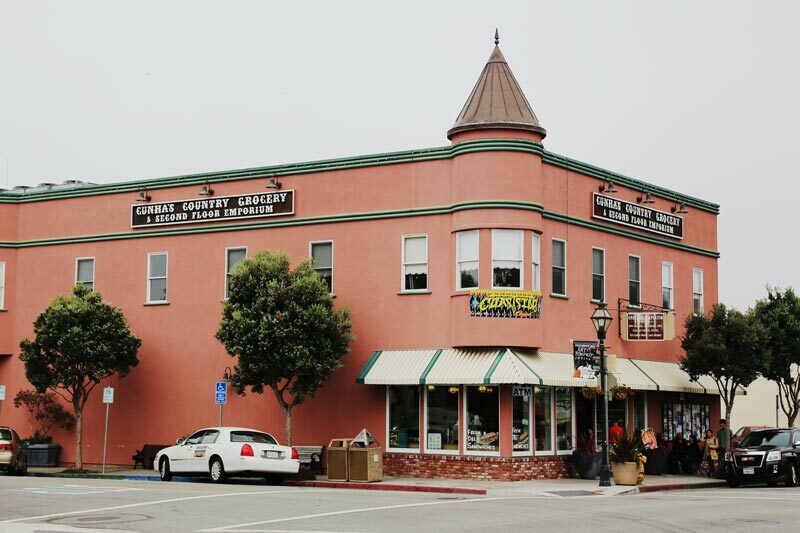 It first gained notoriety for its incredible and ENORMOUS pastries, pies and cakes. 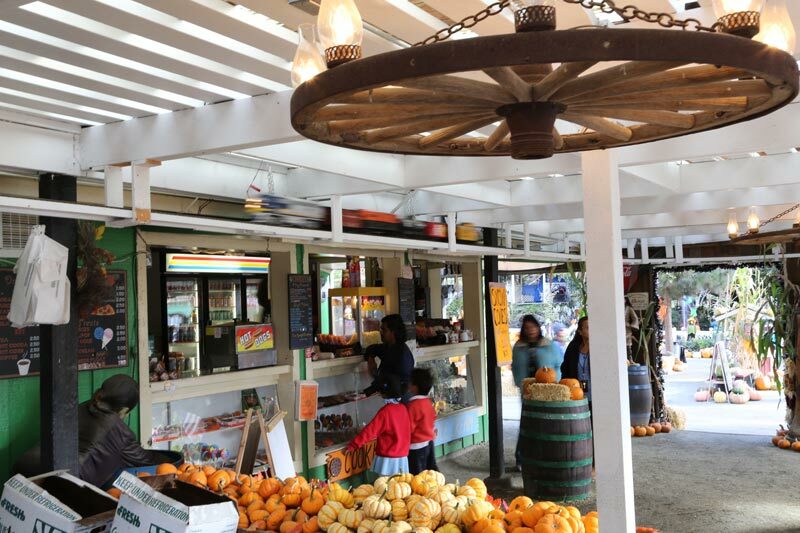 Popular desserts include the Hawaiian Dream Bar and Apple Streusel Pie. 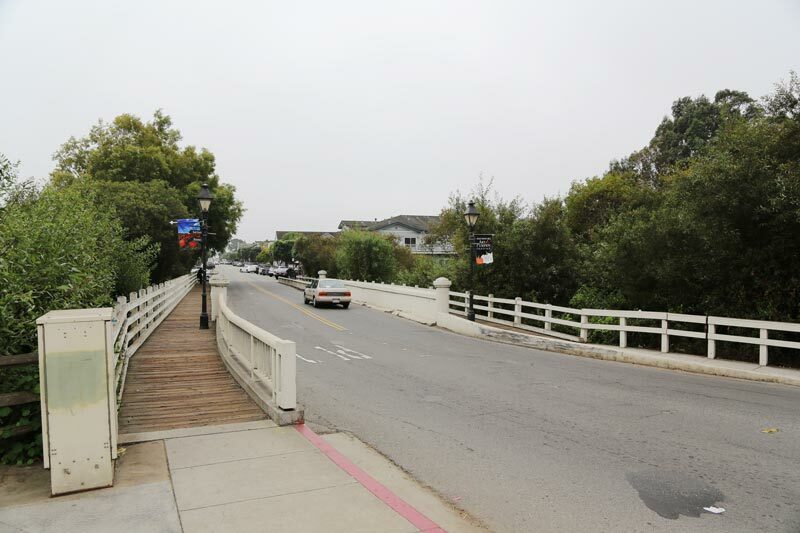 Its restrooms for customers are a rarity in Half Moon Bay. 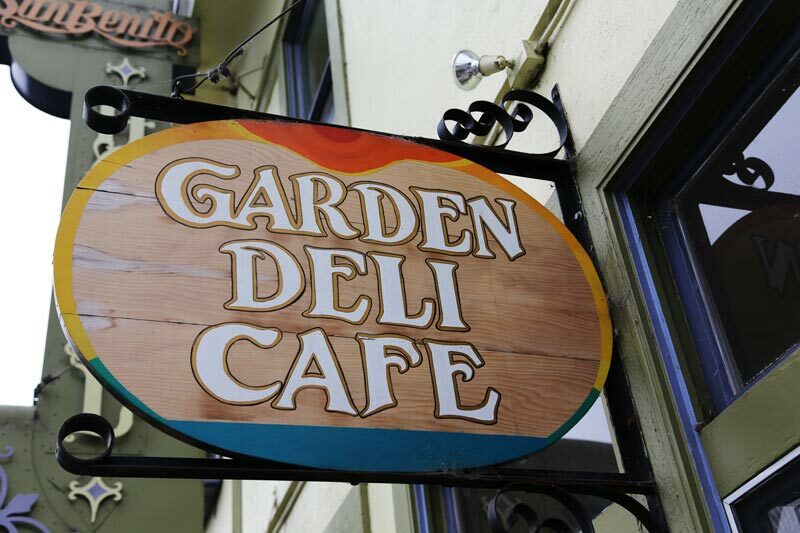 Garden Deli Cafe / San Benito Deli – This popular sandwich shop’s claim-to-fame is the fresh bread they bake every morning. 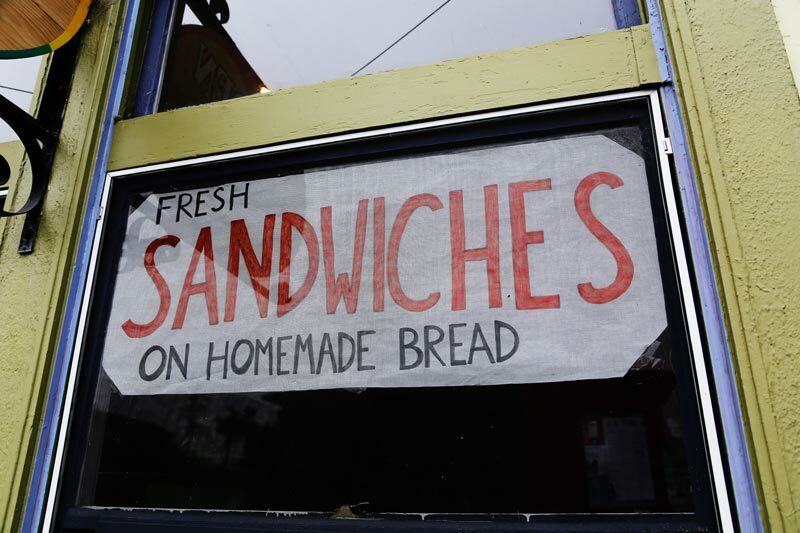 The amazing loaves are cut into thick slices for their large sandwiches that can be shared with a bag of chips.